If you’re looking for riches, head to Alfés, Lleida. 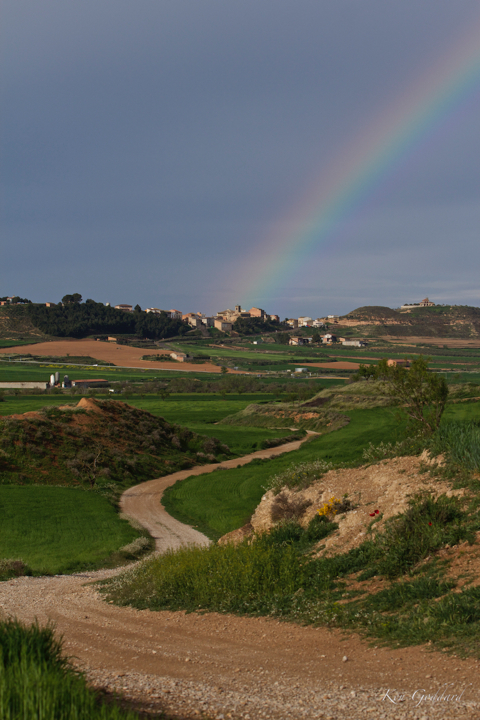 This photo shows rainbow coming out of the village, so according the legend, that’s where you’ll find the gold. Bearing in mind that the photo was taken on Good Friday, there may be a more spiritual, and less material, meaning.